When I was a child, adults were classified by the newspaper they read; back in the days I might add, when breaking news stories screamed from the front page. Readers of The Irish Independent were regarded by Irish Press readers as rabid blue shirt, pro-Treaty traitors, or more politely – wealthy farmers and shopkeepers who voted Fine Gael. Irish Press readers were categorised as lower middle class and working-class people who were blinded by the anti-Treaty propaganda of Eamon de Valera and the like. And then there were those who read The Irish Times – a funny bunch known as Anglo-Irish, West Brits, or big house dwellers, who had the same accent regardless of what part of the country they came from. As for the tabloids coming out of ‘perfidious Albion’– well, they were read by malefactors and reprobates. An Irish Press reader might cross the road rather than exchange a few words with an Irish Independent reader. The Irish Times and foreign tabloid readers were not so fussy; they’d talk to anyone. Now the poor old front page is pretty much obsolete as we are drip fed breaking news on our smart phones 24/7. 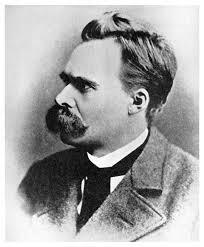 “The rabble spit forth their bile and call the results a newspaper,” opined Friedrich Nietzsche. But who are the rabble? Nowadays it can be anyone with a smart phone, a social media account and an axe to grind, but not exclusively, when you look at the content of so-called legitimate publications. Was this intellectual snobbery on Nietzsche’s part or a fear about the debasing of general public discourse? It’s a just fear in a media landscape that has been in freefall for several generations now. One big event in history that raised television from a provider of entertainment to a provider of news was the assassination of John F Kennedy and the subsequent shooting of Lee Harvey Oswald. This was, you might say, livestreaming in its infancy; it would find legs again with coverage of the 1991 Gulf War, but most starkly for the 9/11 terrorist attacks. The pure raw power of capturing the moment was instantly embraced by both viewers and broadcasters. Of course, technology has come a long way since 1963 and tech savvy citizen journalists have recorded events like the London 7/7 tube bombings, the Virginia Tech massacre in 2007, and the Grenfell Tower fire in 2017. But the worst excesses of livestreaming by perpetrators of heinous crimes rather than news providers, was recently demonstrated in the horrific murder of fifty people in two mosques in New Zealand when the shooter recorded the slaughter of innocents with a camera on his head. The compulsion for a growing number of people to share every living, breathing act on a 24/7 cycle is worrying when you consider one of the cornerstones of any democratic country – the judiciary. In November 2018 Ireland’s Chief Justice Frank Clarke directed that only “bona fide journalists and lawyers may report, message or tweet live from court cases, as reported by Mary Carolan in The Irish Times. The direction was of course prompted by the unregulated use of social media threatening the integrity of a fair trial. Notwithstanding Justice Clarke’s directive, it is heartening to note his observation that the print and broadcast media have given “very little cause for concern” in how they report on court cases because they generally do so “honestly, diligently and with great skill.” If Nietzsche was alive today, might he be apoplectic at the role of social media in unmediated commentary? What would the eminent philosopher make of fake news? But of course, ethical values are not just the gift of outraged intellectuals who have, in their defence, done the background reading but, who have not perhaps engaged in some broader research to help them understand the world they are living in now. They can hark back to the old days and the old values with their scratching quills, but we need to remember that that same social media bugbear has harnessed good people to fight against ethnic cleansing, misogyny, anti-Semitism, Islamophobia, famine, corporate corruption, unjust wars and cruel dictatorships; social media then, is not all bad. Unfortunately though, news is moving dangerously close to entertainment. What’s classed as news now, would not have even got a look in fifty years ago. Distraction of sporting and celebrity news is one clever tactic for turning our attention away from real news for grown-ups – like for example, ITVs This Morning news (with a very small n) attempting recently to predict the gender of the latest sprog to the royal stable with the help of the psychic banana. Too much news content is about celebrity, entertainment, fashion, sport and puzzlingly, the news media personalities themselves - their hair styles, their marriages, their diets, their eternal cycles of triumph over tragedy. More recently, the weather forecast has come in for particular scrutiny. Long, long ago, it was enough to glance at the sky before deciding whether or not to wear the anorak with the hood; now we have to watch an in-depth interview with a weather forecaster conflicted between absolute humidity and thermal shifts, before deciding if our journey is really necessary. Another unfortunate development is that so much of today’s reportage, print and particularly broadcast, is riddled with personal opinion; more about the feelings of the journalist than the significance of the news item itself. Now of course, there is no harm in sharing sincere and heartfelt feelings in certain circumstances, especially if, like all good journalists, you have done your research. CBS News anchor Walter Cronkite wore his (perhaps liberal) heart on his sleeve when reporting from Vietnam in the 1960s. He announced to his viewers that nobody was going to win this war, a pronouncement that may even have led President Johnson to start negotiations with the North Vietnamese. In the 1970s the dogged investigative journalism of Bob Woodward and Carl Bernstein of The Washington Post led to the Watergate investigation and President Nixon’s resignation. In more recent times, the line has become blurred between reportage and opinion. Leader editorial should be the benchmark when it comes to well-researched and balanced opinion writing, and in the main this is true for your standard broadsheet newspaper. Then you have your op/ed pages with more opinion, accommodating left, right and centre thinkers, thus allowing it to be more emotive then leader editorial. More powerful than opinion then, is satire, the best tool to rub the wrong types up the wrong way, and for that reason, an essential tool in the armoury of any media outlet in a democracy. But it is also important that we all familiarise ourselves with the stories if we are to fully get the jokes. 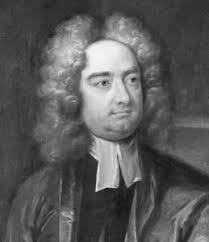 Yes, I know that satire is a great weapon that clever people use against idiots – Johnathon Swift in A Modest Proposal suggested eating young children as one method of reducing the effects of food poverty in Ireland. The same Swift would have been an excellent collaborator with Mel Brooks on History of the World Part One. But you have to know the back story, the history, in order to get the joke. We slap our thighs and laugh out loud in the echo chamber of our friends when we listen yet again to the clever and highly amusing rhetoric and lampoonery of Stephen Colbert, Samantha Bee, John Oliver, Trevor Noah, Have I Got News for You, Callan’s Kicks, and a host of others. But unless we know the all-important back story - the history - all we are getting is yet another biased take on an important topic or event. I rail at Fox News for being an ‘in your face’ pro Trump anti everything left of centre, machine. But then I look at CNN and I am disappointed to see that it has become one big anti-Trump machine – what a waste of energy and journalistic resources; CNN should be expending its energy on high quality news dissemination and analysis and leave the clearly biased braggadocio to Fox News. Back in more experimental times, Benjamin Franklin quickly understood, according to Martin Puchner in The Written Word: How Literature Shapes History, that the combination of near universal literacy and print technology allowed for the creation of a new type of publication – the newspaper; the more the better in fact, to stimulate a healthy exchange of ideas. 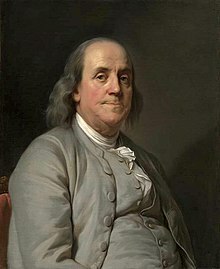 Like Rupert Murdoch over two hundred years later, Franklin became a newspaper mogul, starting with The Pennsylvania Gazette. The idea, grew wings, took off, and never looked back, indeed playing no small part in America’s fight for independence. Like Murdoch, Franklin was quite the control freak – commandeering the printing, paper acquisition (as well as the raw materials to make it), and finally distribution. But that is where the similarity between Franklin and Murdoch begins and ends, because Murdoch and media moguls of his ilk, have their own agendas. Indeed, I recently listened to the opening address by Owen Jones at the 2019 Media Democracy Festival in Birkbeck College, London, which was looking at the media from a British perspective. Jones made the point that the BBC news cycle is driven by the newspapers – those very newspapers owned by a handful of moguls with agendas; sobering, you might agree. Ask yourself, why was the Lewinsky affair called the Lewinsky affair? Suzanne Lynch, the Irish Times Washington Correspondent, asked this very question recently. Why was it not called the Clinton affair? Why will Monica Lewinsky’s name always be synonymous with the brief sexual relationship she had with a married man who also happened to be President of the United States. The much older and far more worldly-wise partner in the affair, Bill Clinton, will be remembered for lots of things; Monica Lewinsky will be remembered for just one thing, regardless of her subsequent achievements. In fairness, the Profumo affair was named after Britain’s Secretary of State for War, John Profumo, and not after Christine Keeler, and that was in the 1960s. So, what changed in the intervening thirty years? We’d like to think that the status of women changed for the better, but not far enough by any stretch of the imagination. Was it the way the media reported seedy, illicit and inappropriate relationships then? But to continue our excavation; let’s look at who owns the newspapers, the news websites, the television and radio stations and more worryingly, the search engines that decide what we can and cannot find. Really, to say that a free media exists anywhere is at best naïve and at worst untrue. Okay, so the controls in the so-called free Western democracies are more subtle and nuanced, while in non-democracies they are unashamedly blatant. But which is worse? If you are living under a dictatorship and know for sure that your media is censored, you are under no illusions; if you are living in a democracy and think that you have free and unfettered access to all newsworthy information, but are unaware of the agendas or vested interests of the handful of media moguls who own and manage that space, then you are living in cloud cuckoo land; or maybe I should say a Punch and Judy show. Who is pulling the strings behind the scenes to ration out the ugly truth or crass details for our consumption? It was also back in the politically incorrect 1970s that we used the word Hoover as a verb with gay abandon. Today, we have transposed the corporate name of Google into a verb meaning to search for something. Isn’t it interesting that both words are synonymous with collecting material, most of which is rubbish? And now of course we have Facebook, Instagram, Snapchat and Twitter; and increasingly, journalists are expected to have a presence on these platforms to ‘connect’ with their readers, time that would be better spent doing proper journalistic work. The very idea of what a journalist is keeps changing. Should a journalist be a trend setter, an opinion shaper, a confessional writer, a social media aficionado, a campaigner, a protester, an entertainer – compared to fifty years ago, what does it mean to be a journalist? Recently, I walked down Fleet Street in London and ducked into St. Bride’s Church, also known as The Journalists’ Church. Three important things attracted my attention. The first was a plaque in memory of eighteen journalists who lost their lives while covering the war in Iraq. The second was a side alter with one lit candle and at least twenty-five memorials to brave journalists who lost their lives because they refused to compromise or back down in their writings. They include Kamal Khashoggi who was murdered in the Saudi Consulate in Istanbul, Russian journalist Anna Politkovskaya who was murdered for her writings on the war in Chechnya, and Sunday Times journalist Marie Colvin who was specifically targeted and murdered by Syrian military intelligence for her reportage on the opposition movement to the Assad regime. The third was a copy of a newspaper article entitled We must stand up for journalists wherever they are, by John Kampfner who asserts that the biggest global threat to freedom of expression comes from Donald Trump. “Not only does he humiliate and threaten reporters,” says Kampfner, “but in so doing he has empowered dictators.” It is sometimes presumed that the media is less ethical nowadays; in many cases this is true, but in countless other cases this could not be further from the truth. The word revolting is a double edged one then. Yes, while much of what passes for news reportage is indeed revolting; much more is about standing up for human rights, equality, and justice in its widest possible sense by drawing attention to racism, slavery, misogyny, Islamophobia, and anti-Semitism; revolting against vested interests, corrupt regimes, sharp practices and crooked corporations by reporting the facts accurately to keep us informed and give us the material to form our own opinions. There is no doubting that the linchpin of democracy is a “well-informed citizenry,” something that Al Gore yet again reminds us of in his book The Future. Knowing what the Kardashians had for breakfast is all well and good; but not knowing where your country sits on the food security index is not good at all. The distinction between news and entertainment has become so blurred it is often difficult for old curmudgeons like me not to fly into a rage when a breaking news story turns out to be nothing more than a brewery sponsoring a football team or the latest instalment in Conor McGregor’s extra-curricular activities. The recent cyclone in Eastern Africa may briefly remind us that climate change is a real and present danger and a story we must follow diligently, with help of course from an uncompromised media. There are two sides to every story, and it is our duty as readers and writers to get the full story before we jump to any conclusions.